Handmade, 3-inch long Tassels, DMC Egyptian Cotton. This Tassel is made using one full skein of DMC-603 "Cranberry" and is available by itself or with tassels in coordinating colors. 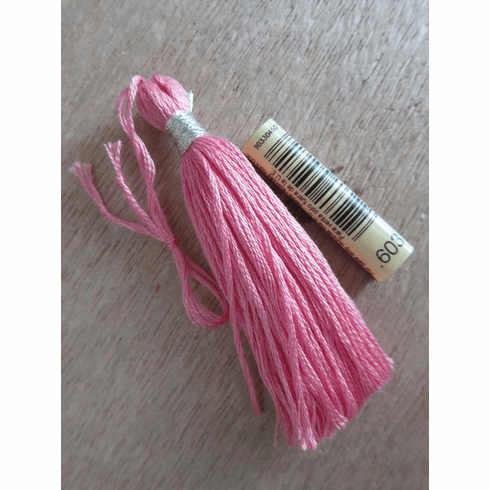 DMC-603 is used in the DMC Coloris colorway "Camelia" DMC-4502 and is available as a set with a tassel made of Camelia and the other four coordinating colors. Color, Materials: DMC-603 Cranberry and DMC-E168 Metallic Embroidery Floss in Silver.